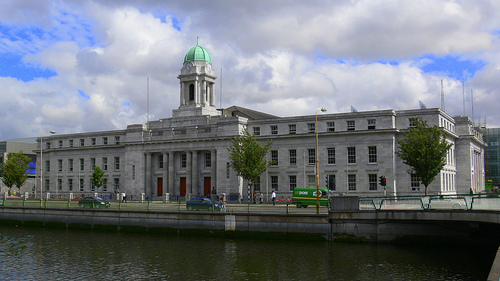 Sinn Féin recently gained a third seat in Cork City Council with the co-option of Fiona Kerins to fill the vacancy left by the death of Councillor Con O’Connell. Fiona was co-opted as the candidate polling the next highest vote in the 2004 election after the five elected councillors. A native of Ballyphehane, Fiona, at 22, is the youngest member of Cork City Council and has vowed to use her position to raise the concerns of young people in the City. On taking her seat she paid tribute to the late Councillor O’Connell. “The death of Con O’Connell will be felt by many people throughout Cork South Central, an area he served so well over many years. I wish to extend my condolences to his family and many friends. “For my part, I hope to continue in his tradition, to provide strong representation for the people in the South City and to ensure they have a voice from outside the political establishment. “As a young woman, I believe that I can bring a new and vibrant perspective to City Hall. In particular I will be campaigning and lobbying for more investment in youth facilities in the South City and increased financial support for local sports clubs and community groups. For too long the needs of youth of been neglected in this City. “With my fellow Sinn Féin Councillors I will also be striving to give a voice to the marginalised and dispossessed in this society and demanding transparency in the provision of social housing. In particular I will be adding my voice to the call for more social and affordable housing for young people and a proper, transparent points allocation system so that people know exactly where they are on the housing list and on what basis housing allocations are made."